For the third instalment in our series of reviews of publications by the Asia specialist, Tuttle Publishing, we have selected six of their latest food and drink titles. This classic text, first published in 1933, takes one on a journey through time, space and mindfulness. 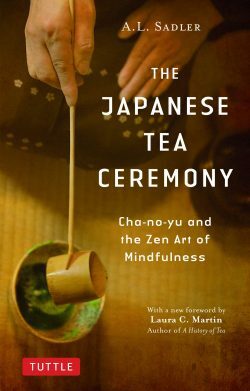 It gives deep insights into how the art of tea ceremony (Cha-no-yu in Japanese, “hot water for tea”), is not merely about its practical aspects—tea rooms, utensils or gardens—but the arrangement of these various essential components within a space where simplicity is embraced and each movement is a conscious meditation of a calm mind, like a Zen practice. From the title alone, you know you are in for boisterous read, unlike that of any average cookbook! 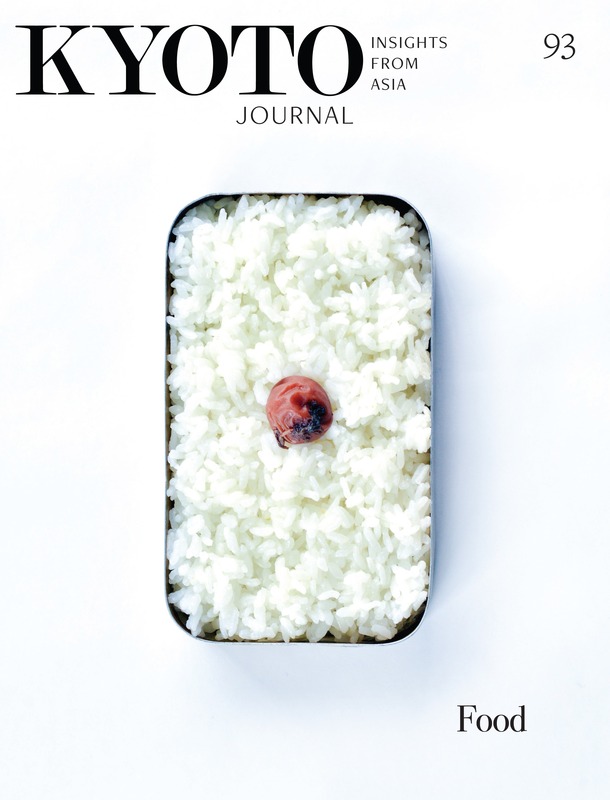 Japanese Cooking with Manga, containing 59 recipes, originated in the form of a handmade publication, Gourmand Gohan, co-produced by a Japanese girl working at a Japanese restaurant in Barcelona together with two Spanish friends who were fascinated by Japanese cuisine. Naturally, it is filled with colourful illustrations, and with recipes like ‘Ham and Cheese Pot Stickers’ and ‘Tofu Mayonnaise,’ it introduces Japanese cuisine through fusion recipes that help catch the attention of those who are less compelled to try new things. Authentic Japanese recipes are also included, with cultural introductions that give context. 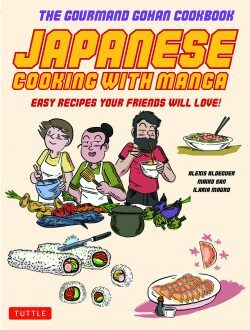 Japanese Cooking with Manga is a fun read and serves as a great introduction that will help ease the Western palate into Japanese cuisine. Japanese whisky’s world-wide reputation took off after a bottle of 18-year-old Suntory was the surprise hit of a Chicago trade show in 2005. By 2015, the premium whiskies produced by the two major distillers, Suntory in Kansai and Nikka in Hokkaido, were so sought after that stocks were depleted and prices rose accordingly. 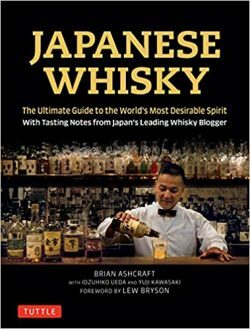 In this one-volume encyclopedia, Osaka-based journalist Brian Ashcroft details history, manufacturing processes, ingredients, distilleries, drinking culture, and even places to sample rare bottles. Punters will learn why it’s “whisky,” not “whiskey,” and what to look for, thanks to the extensive tasting notes provided by Japanese whisky blogger Yuji Kawasaki. Readers taking a deeper draught will be able to answer the question, “What makes Japanese whisky ‘Japanese’?” through an in-depth understanding of each step of the distillation and ageing process, which will help them identify the best bets among the new whiskies being produced by the numerous up-and-coming distilleries that have appeared over the past fifteen years to meet the skyrocketing demand. A search for all the “tea” on Tuttle’s website reveals 85 entries. 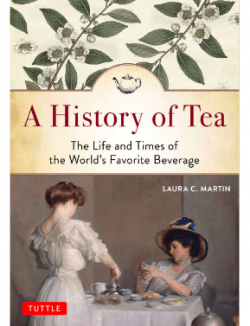 This latest, A History of Tea by Laura C. Martin, has a little bit of everything in it. While not in-depth, like Tuttle’s reproduction of A.L. Sadler’s classic The Japanese Tea Ceremony, with its exhaustive accounts of who made tea for whom in swashbuckling Momoyama Japan, or Okakura’s mellifluous The Book of Tea, that still quenches even the most remote Occidental thirst for Orientality, this light-hearted book charts the leaf’s travels from China to the four corners of the earth in the name of health, wealth, power and refinement. It is meant to make tea accessible for what it is (C. sinensis), and might even cure the most astringent ignorance about what it isn’t (many different species of plant) and what isn’t it (gasp! rooibos, herbs and flowers). You’ll be an expert on “The World’s Favorite Beverage” before you can say Matcha Green Tea Crème Frappuccino®. Big, small, fried, boiled, or all stuck together in pizza-like formation, accompanied by vinegar, soy or chili sauce—simplicity is the watchword in the realm of Japanese gyoza dumplings. That is, unless you are acquainted with the work of Paradise Yamamoto, eccentric proprietor of Mamgyoen premium gyoza restaurant in Tokyo. His new book, The Ultimate Dumpling Cookbook, opens our minds to the innumerable possibilities that lie within the humble dumpling wrapper. My girlfriend and I threw a party to test Yamamoto’s recipes. We decided to try the traditional Shiitake and Pork Gyoza along with the more adventurous Carbonara Gyoza and Pork Belly Dumplings. The carbonara, which we made with pancetta, freshly grated Sovrano cheese, and the signature egg-butter sauce, was a hit. 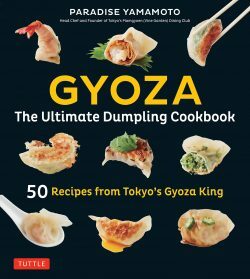 With practical tips scattered through the book, and a primer on wrapping techniques, Yamamoto-san has your back for when you decide to up your gyoza game! 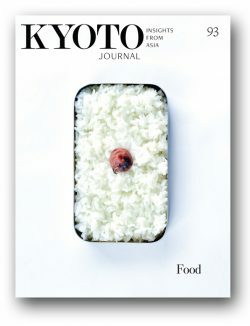 KJ93: Food is out now.